Smooth 14mm x 56mm blade with 4.5mm wide notch in blade. 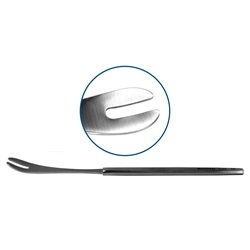 Flat serrated handle. 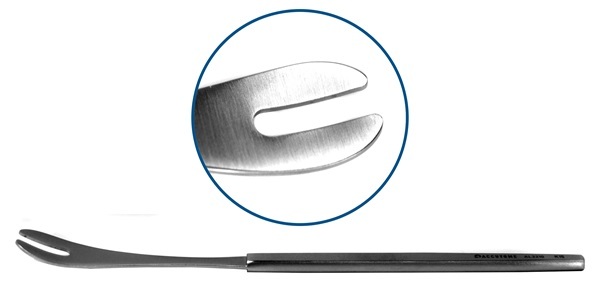 Overall length: 148mm.